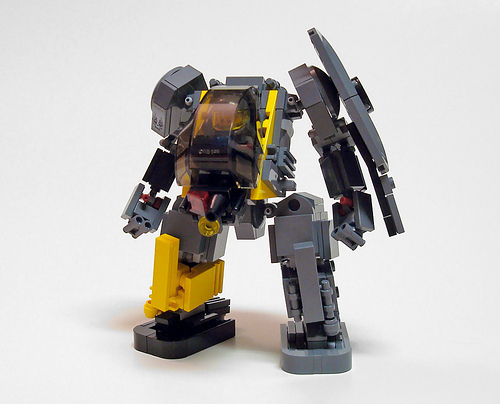 There’s something quite compelling to me about this little mecha by _Nash. It somehow manages to look adorable and armored at the same time. The shield on the shoulder is a great touch. I’m a big fan of yellow and dark gray together, too. If you get a chance, make sure to check out the power unit on the backside.